Para Los Ninos is a non profitable organization which aims at creating academic success and social wellness of children and youth. Para Los Ninos was established in the year 1980 and has its headquarters located in Los Angeles, California, United States of America. The company owns and takes care of child development and early education centers, charter schools, and family resource and wellness centers in United States. 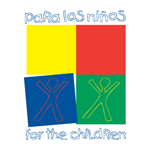 Para Los Ninos also provides recreational services for children and youths. The Para Los Ninos organization offers youth workforce the employable skill, leadership development, computer training and life skills training. There are currently 0 consumer reviews about Para Los Ninos available. Share your review. Please take a note that you are about to post a public review about Para Los Ninos corporate office on CorporateOffice.com. This review will be public, so please do not post any of your personal information on this website. If you would like to contact the corporate offices of Para Los Ninos, please use their contact information such as their phone number, website, and address listed above to contact them. However, sometimes staff from Para Los Ninos headquarters do read the reviews on this website.